The state of Tamil Nadu has a wide and varied range and variety of vegetation. From mountainous rain, backwoods to dry deciduous forests, and thistle bush woodlands to tropical dry broadleaf timberlands, along with salt-swamps and mangroves, the state has it all. Tamil Nadu has a wide range of biomes, like the rainforests of the Western Ghats, dry deciduous forests of Deccan Plateau, tropical thorny scrub forests of the Eastern Ghats, beaches, estuaries, salt marshes, mangroves and coral reefs of the Bay of Bengal. The widely distributed Toddy palm is the state tree and the beautiful flower, Glory Lily is the state flower of Tamil Nadu. The Toddy palm is a tall palm, which lives for more than a hundred years and grows over 100 feet tall. 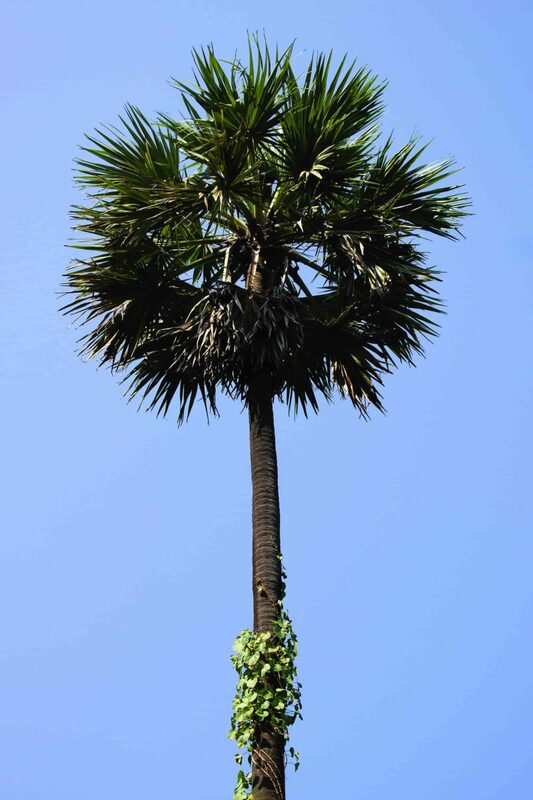 just like a Coconut, the Toddy to has a canopy of bluish-green fronds (big leaves) connected by a long stipe to the main stem. The canopy can be 10 feet wide. The palm tree is a favourite among landscapers as the tree adds to the aesthetic beauty and is clean inhabit i.e. its leaves do not litter much. People of Tamil Nadu consider it to be a celestial tree, but it is primarily used for making an alcoholic beverage—the palm wine, created from the sap. a container, usually an earthen pot, is fastened to the flower stump to collect the sap after making an incision. The white liquid is sweet and non-alcoholic before it is fermented. Old literature from Tamil Nadu was written and preserved on palm leaves. The hardy and fibrous leaves are also used for thatching houses. Fruits of Toddy’s palm are called ice apples; soft, jelly-like pulp can be extracted from them, and the sugary liquid tastes like tender coconut. The 5-7 inch fruits grow in clusters and are enveloped in a black, husk-like cover. The tree belongs to the family Arecaceae, which is commonly known as palm tree family. The glory lily is a tuberous climbing herb. The generic name ‘Gloriosa’ means ‘full of glory’ and the species epithet ‘superba’ means ‘superb’. The plant is known as Karthigaipoo in Tamil. 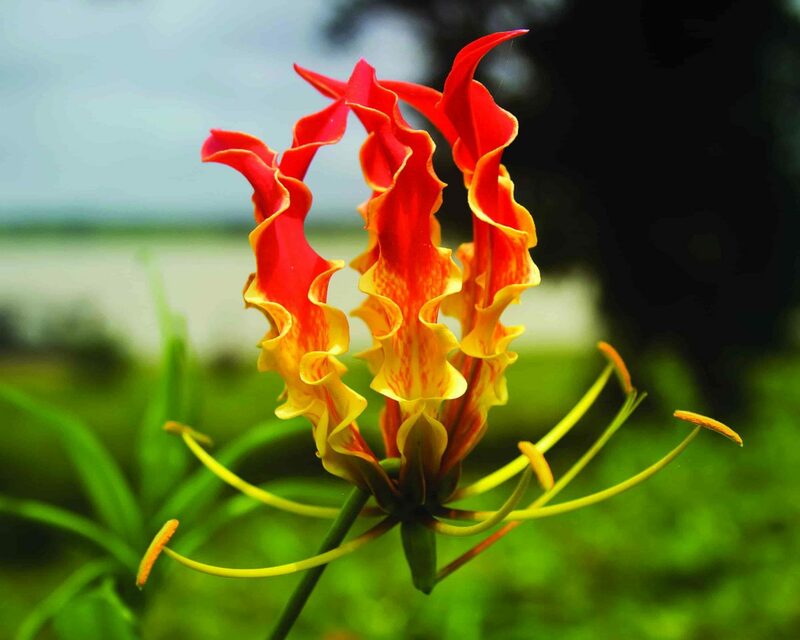 Striking red and yellow flowers appear like flames of a fire, and hence the flower is also known as Flame lily. All parts of the plant, especially the tuber, are extremely poisonous and can be fatal if eaten. But the plant also has several medicinal properties, most important being the relief provided by the extracts from the rhizome during labour pain. Flowers are solitary, large and borne on long, spreading pedicles; stamens are prominent and spread outwards in graceful curves that follow the petals in their backward progression. The plant belongs to the family Colchicaceae and is cultivated in various parts of Tamil Nadu for the herbal market. The government is also promoting such cultivations through various schemes and programmes. Dharmendra is a Conservation Biologist with Tiger Watch. He is a researcher, monitoring anti-poaching initiatives around Ranthambhore. He is involved in reform programmes for the Mogya, a traditional hunting community. Divya Khandal is an amateur wildlife writer and photographer. She runs Dhonk, a social enterprise, which works with local communities promoting their crafts around Ranthambore National Park. Dharmendra Khandal is PhD from Rajasthan University in wetland ecology. 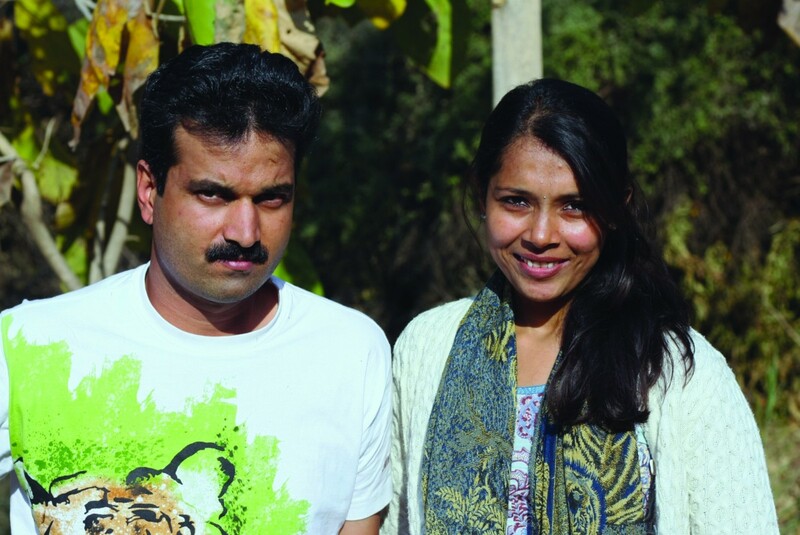 He is a conservation biologist, working with Ranthambhore based NGO Tiger Watch since 2003. 5 reasons to visit Kaas this monsoon!